The last day of the special session could see a Senate filibuster of abortion legislation and the final actions on transportation funding and criminal justice measures. 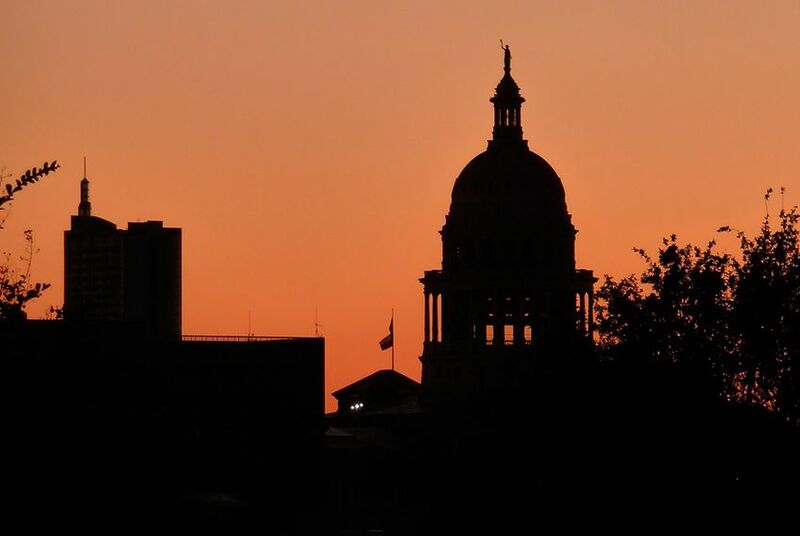 Tuesday marks the last day of a 30-day special legislative session in Texas that started with a political focus but later veered into more emotional territory. Gov. Rick Perry initially put only redistricting legislation on the special session agenda. He later added three more issues, including abortion. With less than 24 hours to go, the fate of multiple items on the agenda lies in the Senate, where the prospect of a filibuster on abortion legislation could kill that measure, as well as others depending on how Senate leaders handle the threat. That could pave the way for Perry calling a second special session. “I believe there are certain items on this call that he shared with me are must-pass,” Lt. Gov. David Dewhurst said Sunday evening. He declined to say which of the four items on the special session agenda he was referring to. Abortion: Though multiple bills were filed, Senate Bill 5 is the only one left standing and Senate Democrats are expected to talk it to death on Tuesday. The measure would ban most abortions at 20 weeks of gestation (the so-called fetal pain provision), require that abortions be performed in ambulatory surgical centers and require doctors who perform abortions to have admitting privileges at a nearby hospital. The measure also would require doctors who administer the abortion-inducing drug, RU-486, to do so in person. Opponents of the measure overwhelmed a House hearing last week and came out by the hundreds for Sunday night’s nine-hour debate. The Senate needs to concur with the House’s changes to get the measure to Perry’s desk in time. State Sen. Wendy Davis, D-Fort Worth, has said she is planning to conduct a filibuster to prevent the bill from coming up for a vote before the session's midnight conclusion. Redistricting: This is the only one of Perry’s stated goals of the special session that the Legislature has fulfilled. Both chambers passed measures to approve three interim redistricting maps drawn by a federal district court as the permanent plans for the state. Republican leaders are hoping the approval of the maps will avoid 2014 playing out like 2012, in which the state’s primaries were postponed due to redistricting legislation, though some have questioned that strategy. Democrats opposed some of the maps, alleging that they disenfranchise minority voters. Transportation funding: A proposal from Senate Transportation Chairman Robert Nichols, R-Jacksonville, that raises nearly $1 billion annually for state road construction and maintenance is within striking distance of heading to Texas voters for approval. Senate Joint Resolution 2 would ask voters to approve amending the state constitution to divert half of the oil and gas severance taxes currently earmarked for the Rainy Day Fund to the State Highway Fund. The measure passed the House Monday after House Transportation Chairman Larry Phillips, R-Sherman, amended it to, in part, address concerns about the Rainy Day Fund’s future. Under the amendment, severance tax revenue would only be diverted from the Rainy Day Fund for roads in years when the fund has a balance of at least one-third of its legislative cap, a figure that varies over time. If senators approve the changes Tuesday, the proposed constitutional amendment will be placed on the November ballot. Nichols has requested that the Senate take up the measure before SB 5, the abortion bill, to ensure that a possible filibuster doesn’t doom both bills. Criminal justice: Like SJR 2, a measure that would revise the sentencing guidelines for 17-year-olds convicted of capital murder is also in the Senate, waiting on lawmakers there to approve changes made in the House. Senate Bill 23 would make 17-year-old capital murderers subject to the same mandatory punishment as 14-, 15- and 16-year-olds who are certified to stand trial as adults and convicted of capital murder: a life sentence with parole eligibility after 40 years. The House version would also allow judges and juries to sentence 17-year-olds to life without parole as long they consider mitigating factors. Perry added the issue to the special session agenda in response to the U.S. Supreme Court ruling last year that mandatory life-without-parole sentences for those younger than 18 amounted to cruel and unusual punishment. While the justices didn’t outlaw life without parole as a sentencing option for juveniles, they said juries and judges must have flexibility to consider other factors that might warrant a lesser sentence for the offender. Some legislators worry the wording in the measure will still leave the state open to constitutional challenges. Like the transportation funding bill, Senate passage of SB 23 today could be affected by a potential filibuster of abortion legislation. Public integrity unit: State Rep. Sylvester Turner, D-Houston, had hoped to use the special session to override Perry’s controversial line-item veto of Travis County's public integrity unit. The unit is tasked with investigating hundreds of public corruption cases. Perry made good on a threat to defund the unit after Democratic Travis County District Attorney Rosemary Lehmberg refused to resign following her arrest and conviction for driving while intoxicated. Turner filed a measure to override the veto, which got a hearing and praise from some Republican House leaders, including House Appropriations Chairman Jim Pitts, R-Waxahachie. Last week, Turner gave up on the crusade. His resolution never came up for a vote. UT regent impeachment: The House may use its final day of the special session to take up the controversy of management at the University of Texas System. Pitts filed a resolution on Monday to impeach University of Texas System Regent Wallace Hall. Pitts has accused Hall of making excessive requests for records of the University of Texas at Austin administration and for failing to disclose some lawsuits on his initial application to be on the board. Pitts has said he believes he has enough support in the House to pass House Resolution 230, which would prompt the creation of a House Special Committee on Impeachment consisting of seven members appointed by Speaker Joe Straus, R-San Antonio. The committee would be able to continue its proceedings after the special session ends.